Людям казалось,что 120 000 за это много... Но 500 000 золота за экзоскелет это вообще невообразимо.На такую сумму можно содержать всю армию Альянса и Орды вместе взятые! Надеюсь,что все эти миллионы золота,что выручит Армия Света пойдут на восстановление Аргуса,а не в карман Туралиона и Аллерии.Как только нафармить столько золота я не представляю. Людям казалось,что 120 000 за Поводья большого яка для путешествий это много... Но 500 000 золота за экзоскелет это вообще невообразимо.На такую сумму можно содержать всю армию Альянса и Орды вместе взятые! Надеюсь,что все эти миллионы золота,что выручит Армия Света пойдут на восстановление Аргуса,а не в карман Туралиона и Аллерии.Как только нафармить столько золота я не представляю. Почувствуй себя Железным Человеком! И чтобы его надеть нужно быть Тони Старком, ибо 500.000 может себе позволить только мультимиллионер. Кажется, лучший маунт, которого я когда-либо видел. В миллиард раз лучше, чем тупой паук за 2 млн. Заработать 500к голд вполне реально (друг инчантом за месяц почти набил необходимую сумму, кристаллы хаоса на Гордунни достаточно стоят). На данный момент затруднительно качнуть превознесение, но это уже вопрос времени. Всем удачи! 500к-это слишком маленькая цена за такого красавца)Вот ляма 3,5 было бы норм. Маунт с кусающейся ценой, многие скажут да он такой же как и обычный голем только моделька новая, и тратится на него не стоит, не фига, единственное что у него от старого голема это анимация полета (без ускорения) а так полностью новая моделька, анимация бега, и индивидуальная анимация (отдает честь и делает пиу пиу в воздух) брать его или нет, решать вам. Я сейчас вообще выскажу крамольную мысль: мне этот маунт нравится даже больше, чем Ордынский дирижабль за вирт. билет на Близкон'17(который, нужно признать, так же зело не плох!). Но мне больше нравится "робот с крылышками". :) По поводу сравнения его с пауком за 2кк - ну, да, смешное сравнение, согласен. Паука я реально НЕ куплю за 100к, он же жутко отвратный, вы не видите, что ли? Причем даже не важно летает паук или нет, он просто отвратный по своей модели. Ну вы сами посмотрите, да? Нравится? Ну вот примерно так ездится на пауке его "счастливым" обладателям. P.S. А до чего ж ОФИГИТЕЛЕН у этого маунта /трюк - это нечто! Не знаю, почему тут указано, что цена 625 000. Стоимость же 500 000. Приобрел сегодня :) оч. крутой маунт. Это у меня какой-то баг или на экзоскелете при сборе лута не скидывает с маунта? As of Patch 7.3, this mount is the reward from the Армия Света vendor at Exalted for a crazy 500,000g currently. Update 8/14/17: Placeholder text removed from price, PTR price it turns out is going to be the Live price. Start saving gold for the new mount gold sink! I've been looking for a great paladin engineering looking mount for ages. The Sky Golem works as a sort of "flight suit" right now, but it doesn't scream "holy paladin power armor suit". This does. I'd be more than happy to farm for it. The price is listed as placeholder so it's subject to change. It's possible it'll drop to some small amount of gold. I wouldn't mind paying 500k for this beauty. I know this will be downvoted into oblivion but I'm going to post it anyways. Blizzard is absolutely capably of charging 500k+ for this mount. People thought the spider from Mad Merchant for 100kPH was outrageous. And that went live for 2M. The heads of WoW, I.H. and A.A. and still trying to remove flight. They think you won't notice that we're getting very little use of flight this time around, sure we can fly in BI, but after only three months, after an eight month wait to get it, we're being shuffled off into a an area three times the size of a normal flightless area for the next year+. Blizzard is using the players boredom and craving for new content against them. They figure no one is going to care that they'll be grinding rep for this flying mount in a flightless area they'll be stuck in for the next year and a half, then they're likely going to charge you a lot of gold for it. I will be shocked if they don't. Sure, we can use it in other areas, who cares if we can't use a mount themed for a certain area in that same area. We can always fly it in other areas if we want. Remember those arguments Blizzard tried to use against us from the WoD CE Dread Raven mount? I do. Those same arguments for this mount in a flightless argus will be back on the forums if Blizzard doesn't patch in flight quickly after 7.3 hits. I don't care about the argument about there always being a flightless area in each expansion. I've been here to see them all go live and enjoyed them, and that debate goes right out the window when you make that area three times the size and expect us to be content with that for a year and a half after only three months of flight. Edit after seeing lastnight's ptr build news: LOL I told you all it was going to cost 500k! 500k, exalted rep and all after months of grinding rep to buy a flying mount that you can't use from the zone you get it from for a year and a half! If you don't get why you should be ticked off at the gall of Blizzard to do this to it's players then I'm at a loss for words! 500k? For THIS? Blizz, you're drunk, go home. 500k is a little ridiculous for this. Unlike the Golem it doesn't rattle while standing, and it actually flies in a straight line! Don't know about you, but it just didn't feel like I'm going where I want to go with that mount :) Those 2 things by themselves make me want it. My DK cries at all the gold though... For 500k.... can I have it in black please? LOL I told you all it was going to cost 500k! 500k, exalted rep and all after months of grinding rep to buy a flying mount that you can't use from the zone you get it from for a year and a half! If you don't get why you should be ticked off at the gall of Blizzard to do this to it's players then I'm at a loss for words! Can't wait for Lightforged Warframe Prime! Does it allow you to gather herbs while mounted like the Sky Golem? Most epic mount. Would look great on my paladin ( who is engineer). Just to sad about the price...way to expensive.. It better allow both mining and herbing mounted or the price is absurd. Are they using the gold to build the outer plating of the mount? Hooooooooly.... Too bad I've spent a lot of gold on crap recently. Tokens it is. This will be one expensive mount. Can you gather herbs on this mount? Looking at perculia's video.....Are you telling me that this doesn't have the Небесный голем's drunken swaying and random barrel rolls that make it a pain to fly close to the ground? If so then that may actually make me want to buy this gold sink. A BoA Army of the Light rep token went up as a WQ on EU today. I got up to revered using all my alts. Surely someone with enough alts has hit exalted to get this. It looks like the price of the Lightforged Warframe went up to 562k. Yesterday the price said 500k. I've got this mount today :))) and I can confirm it costs 500,000g at exalted. With WoW Tokens having a current value of approximately 150k gold (WoWToken.info), this mount is monetarily worth almost $70 USD. Compare this to the typical asking prices of $25 USD for mounts from the WoW Shop. Yes, almost triple. Is it really worth 500k (i.e., ~70 dollars)? Looking forward for some rep farm! What a sick joke, then suddenly it becomes common shiet and i personally wouldnt use it. I had someone confirm for me. 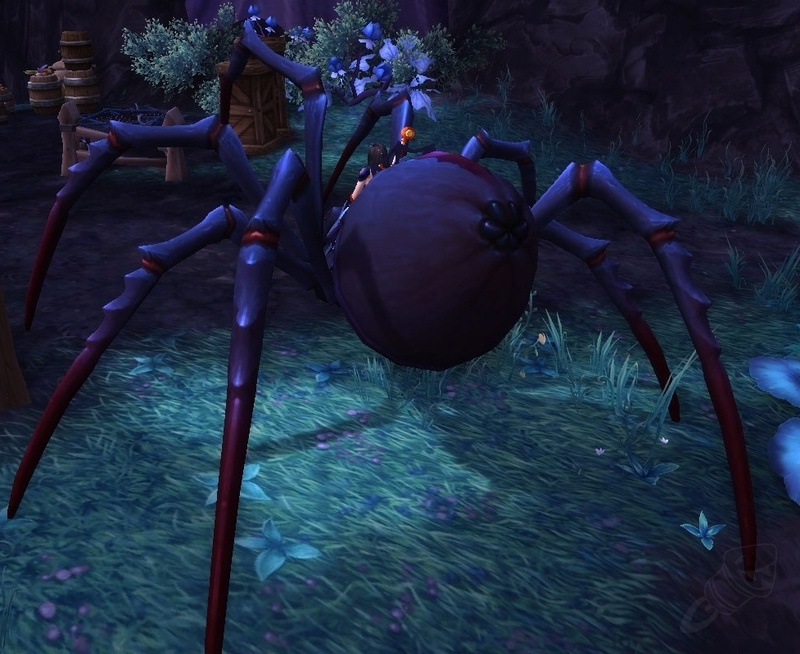 You CANNOT pick herbs while using this mount. Also tested, you cannot mine while using this mount either, but that was less likely. This is a real shame, considering it doesn't have the annoying swaying animations of the other golems. Sorry guys. It just looks cool. Order hall Leader: "Wait, how come this machine won't fly on Argus? All the other warframes the Army built can." Vindicator Jaelaana: "I'm afraid I do not know; I'm not an artificer." Order hall Leader: "Not to be a jerk, but... doesn't that mean you're selling defective goods? (Rather expensive ones at that...)"
Now this is a mount I'd gladly pay the 500k on, the specialmount on this is so amazing! My main is a paladin and for me, this is a must. To be honest I'd gladly pay 2 mill for this mount over the spider mount which I'm still trying to figure out why it's so expensive over something that's blah. Man, that's a lot of gold to put out for a mount. Gonna take some serious grinding to get that kind of coin. Love the look. When flying on this mount it reminds me so much of Luffy's gear fourth flight. While it has been one of my favorite mounts, some larger races have their feet clipping through the chest (Draenei, Worgen... probably Tauren but I haven't seen it myself). It looks particularly egregious while wearing robes/skirts. Hopefully Blizzard can address this by scaling up the mount or something. I just reached exalted and looking over the quartermaster's list, I realized that the mount has no discount. Under the debuff this mount shares the same flavor text with the Magnificent flying carpet for some reason..."Don't you dare close your eyes"
Turns out to be not so rare. On my server, I have seen the mount on three separate people at once flying around Daralan. I am assuming that the mount is for all alts, alliance and horde? The wings on the Lightforged Warframe bugged. Fix the wings! Blizzard! What can it really do and not do? Half a million gold? Seriously? How much does it cost for a goblin who is exalted with Army of Light? I think this mount is worth the gold unlike that riverbeast mount from WoD. Does this Warframe have special powers like the spell? If it does, I can see the 625000 (500000 exalted value) for this Warframe. Even if the power of the Warframe came with a cooldown, it would still be cool. More for more options is better than more for same but with a different look. Not even remotely worth the price. Worth 2000-3000 gold, if that. Not 625,000 gold--are you insane? 500,000 gold to look like Baymax from Big Hero 6. I can't imagine actually buying this and not feeling like a fool. Blizz will delete this because this is nothing but a gold sink. Worked, worked, worked, rep rep rep. THIS MOUNT HAS NO WEAPONS LIKE THE VINDICAR BUFF. AGAIN, THIS MOUNT HAS NO WEAPONS, just floats around and looks cool. THIS MOUNT HAS NO WEAPONS! Yeah, I am more than a little pissed. Not entirely sure why folks are complaining about the price of this mount. Nobody is forcing people to buy this mount for 500k -- not like it's required to finish a quest or something. Furthermore, farming 500k gold in Legion is not all that difficult or time consuming. Simply leveling from 100 to 110, basic questing, daily quest chest, and your champion missions can easily net you 500k in about one month. Usually the people I see complaining about not having enough gold are the same folks that pass on all green items in (older) dungeons and do not loot gray items. Just my two cents. I, for one, think this mount is exceptionally cool looking and the 500k price is not all that unreasonable (albeit, a bit on the expensive side). Personally I don't understand paying this much for a mount, but hey everyone's different. Being able to use one from the Matrix Core every 10mins does me fine, especially as you can easily solo elites in the 45secs you have. Mind you, although hugely useful, I do think the DPS is a tad over the top. I mean, should you really be able to solo stuff that big? Guess it appeals a lot to the 'tank & spank' brigade who only want to kill stuff & never die cos they pay subs? Should you buy the Экзоскелет озаренных? IMO this is one of the best long distance flying mounts in the game. Flies horizontal with rocket jets on the feet, back and left arm on autorun or continuous flying. Liftoff, landing and hoover are in a vertical standing position. Sound effects: low hum like rocket jets or rushing air. No clanking or mechanical crunching while flying, no snorting, no flapping wings or rollercoaster ride effects. Clanks with each step but doesn’t shake like some mechanicals. Seems less maneuverable than animal mounts. On Argus it’s easy to forget this isn’t the nearly invincible Экзоскелет озаренных vehicle. There are no weapons and you’ll be dismounted by trash if you don’t maneuver quickly. In perspective, there are other expensive mounts like the always snorting Узда призрачного железного скакуна (5000 Искаженный временем знак) that look great but stay in the stable. I don't see paying this amount. I have been using gold to pay for my subscription, and successfully doing so for the last 18 months. I think I'll just keep doing that. Oh, this mount does look impressive, and if you can afford it, buy it! For some reason, as of this post, the flying sound on this mount persists long after you land, annoying. I have reported the bug, I hope it gets fixed. I am quite shocked by the price. Most exalted mounts cost between 5k to 20k at most, with only special non-faction mounts costing over 100k. I'm almost exalted (2k rep away) and I was eagerly looking to own my own warframe... until I researched the price 30 minutes ago and seen that it costs over 500k. I'll never be able to afford that. Even if you do the complete circuit of EVERY single world quest every single day, you only get about 5k gold per run of all of those world quests. This is a real shame, being in a position to buy it, but it costing far more than most players could ever afford. Have read quite a ways down the page and have yet to find an answer...is this a solo mount or can you carry a passenger? Before you splash your cash (gold in this case), for this impressive looking beast be aware that it DOES NOT possess the same DPS abilities as the Matrix Core spell version you can acquire from the Vindicaar. It's just a mount, so don't go riding up to Elites & expect to kick their butts in 2 or 3 hits. Up to you if you think the 625k price is worth it. Imho the answer is a big fat no! purchasable mount should include a gathering profession perk at the very least. A cool look will never get me to spend 500K . A Warframe of Light for a warrior of light! For a Paladin, this is quite possibly the best mount! Still cheaper than Vauban Prime. "Армия Света активно использует тактику внезапных ударов и быстрых отступлений, для которой эти боевые машины подходят как нельзя лучше."